The International Documentary Film Festival Amsterdam (IDFA) ended on Nov. 25, but the festival announced its award winners a few days earlier, with director Alan Berliner winning the award for best feature-length documentary for his latest film FIRST COUSIN ONCE REMOVED. Adam Benzine of Realscreen wrote a piece on all of the winners, as did Rosemarie Hugill of the DocGeeks blog. Programmer Basil Tsiokos was also at IDFA, turning out copy for Indiewire over the course of the festival. You can read his post highlighting ten films on his must-see list here, and take a look at seven projects at IDFA Forum worth keeping an eye on here, which includes POV series producer Yance Ford’s project STRONG ISLAND. 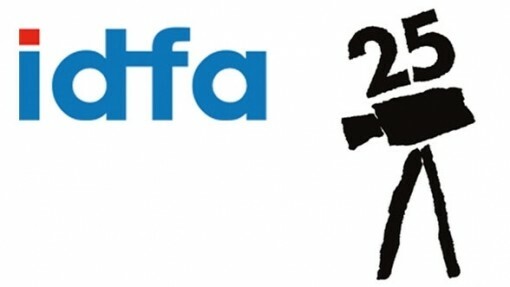 Rose Vincelli of Filmmaker Magazine also had a write up on the IDFA Forum, as did Realscreen’s Adam Benzine. And STF Artistic Director Thom Powersdug up an article about the Forum that he penned for the Boston Globe almost 10 years ago for those interested in seeing how things have changed since then. The True/False Festival blog took a look at Victork Kossakovsky’s Top Ten films that screened at IDFA. Also, Nienke Huitenga reported on the Interactive Doc Conference at IDFA for the festival’s website, while Mandy Rose also had a comprehensive rundown of the Interactive Conference events for the i-Docs blog. The Sundance Film Festival is expected to announce its lineup in the coming week. Here at STF, we’re preparing a blog of advice for how filmmakers can best navigate premiering a doc in that competitive arena. If you have Sundance experience, we’d love to hear your responses to these questions: 1) What was the most common lapse in preparing for Sundance? ; 2) What can filmmakers do in the lead-up to make their doc stand out to press and buyers? ; 3) What’s the best use to make of your film’s website? 4) What makes for a good social media strategy? Share your thoughts with thom@STFdocs.com and watch for the upcoming blog post. STF Artistic Director Thom Powers spoke on some of these issues in a recent interview by Amanda Lin Costa for the PBS Mediashift blog. STF also got some shine from the editors of Time Out Magazine back in October, when it named the series the best place to see documentary programming in New York City. THE CENTRAL PARK FIVE is proving to have post-festival legs in the media, continuing to command attention from a variety of publications. Mahnola Dargis of the Times wrote up a review for the film, with Christopher Campbell of the Documentary Channel blog noting its theatrical release. At Filmmaker Magazine, Damon Smith interviewed Ken Burns, who directed the film with his daughter, Sarah Burns, and David McMahon. At Indiewire, Eric Kohn also made the case for why THE CENTRAL PARK FIVE was the most important film of Ken Burns’ impressive career. The POV blog turned out a number of posts from filmmakers and others weighing in on their votes for the greatest documentary of all time. Tom Roston made an argument for the short by Charles and Ray Eames, POWERS OF TEN: A FILM DEALING WITH THE RELATIVE SIZE OF THINGS IN THE UNIVERSE AND THE EFFECT OF ADDING ANOTHER ZERO. David France cast his ballot for Kate Davis’s SOUTHERN COMFORT, while Doug Block went with SHERMAN’S MARCH. Museum of Modern Art film curator Rajendra Roy made his case for the 1950 film KON-TIKI, directed by Thor Heyerdahl. Back in early November, Sean Farnel wrote a piece for Indiewire about some of the more challenging films programmed by doc festivals in Europe. And this week, Farnel penned another piece about the shifting definition of films defined as documentary, and their relationship to fiction. Kelly Anderson of Realscreen reported on awards handed out at the Doha Tribeca Film Festival, with THE LEBANESE ROCKET SOCIETY by Joana Hadjithomas and Khalil Joreige winning the best feature doc award. Anderson also wrote up the awards doled out at the Montreal International Documentary Festival (RIDM), with the grand prize for best international feature going to Marc Schmidt for MATTHEW’S LAWS. Back at the Times, Franz Lidz wrote a piece about Jay Bulger’s BEWARE OF MR. BAKER, which nabbed the SXSW grand jury prize for docs back in March. Rebecca Huval of the Independent Lens blog wrote up part two of her examination of the death of the DVD, and the widespread adoption of digital distribution channels. Huval this week also highlighted eight films worth watching in November in remembrance of Native American Heritage Month for the blog. In distro news, Adam Benzine of Realscreen reported that Jamie Kastner’s THE SECRET DISCO REVOLUTION had sold U.S. theatrical rights to Screen Media Films. And at Indiewire, Bryce Renninger wrote up a piece about the DIY distro tools PUMit and Crowdstarter. The folks at POV Magazine previewed the table of contents for their winter issue, which includes Sean Farnel’s piece on a filmmaker’s festival bill of rights, which should be required reading for all doc filmmakers. Back at the Documentary Channel blog, Christopher Campbell noted that Brett Morgan had been tapped to direct a documentary about the late musician Kurt Cobain, and that a trailer had been released for the latest installment of Michael Apted’s UP series, 56 UP. In honor of the holiday week, Anthony Kaufman’s Docutopia blog post recapped five documentaries he felt everyone everyone should be thankful for. Kartemquin Films this week posted a great short doc by Morgan Johnson about the production house’s first camera, a portable 16mm one with crystal sync that aided the blossoming of the cinema verite movement in the U.S.
And finally, the Hot Docs board of directors was shuffled this week, with Realscreen’s Etan Vlessing reporting on the changes. That’s it for this week. Please remember to e-mail tips and recommendations for the Memo here, or send them via Twitter to @GuerrillaFace. Thanks, and have a great week everybody!